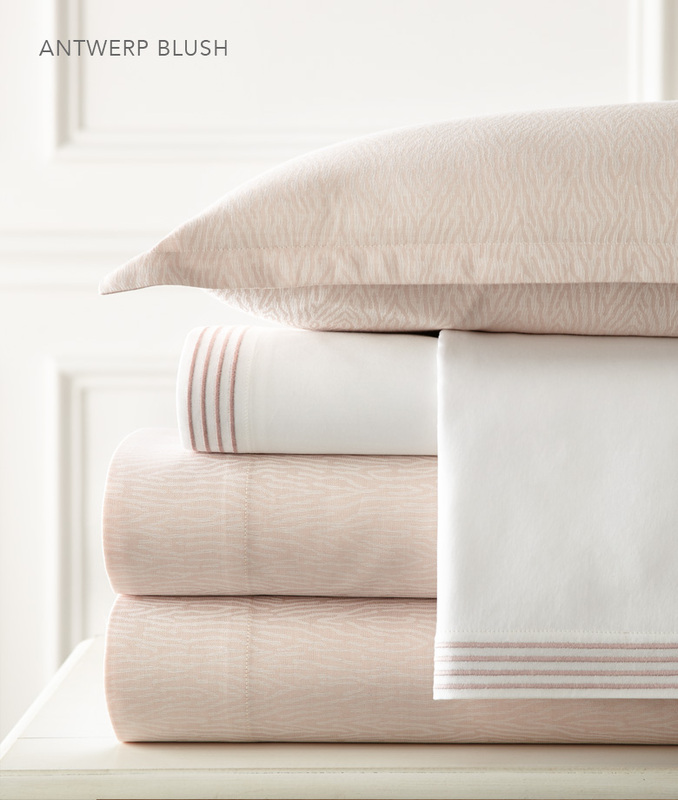 Antwerp Jacquard in two colors, Blush and Platinum. 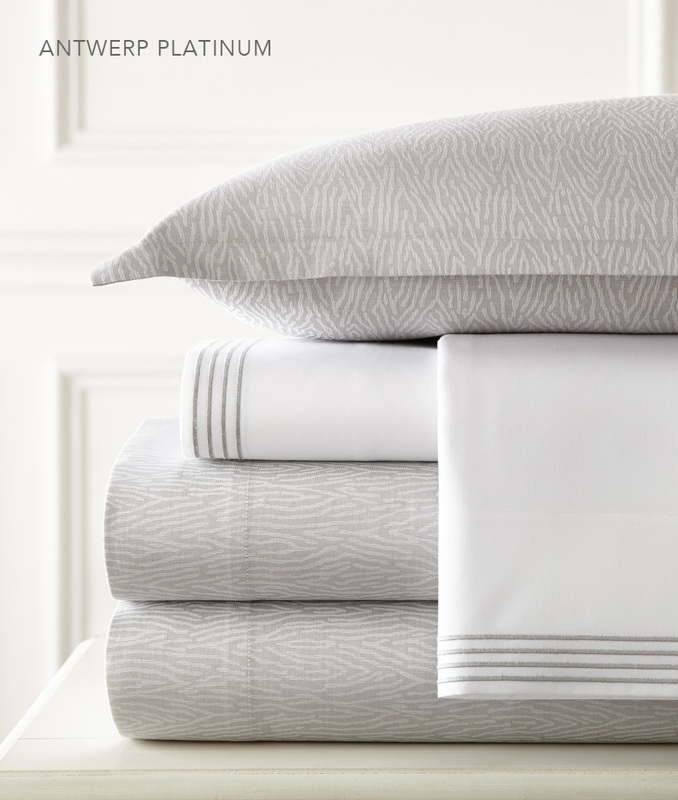 Antwerp is part of our new Finley Collection of luxury Jacquard bed linen. 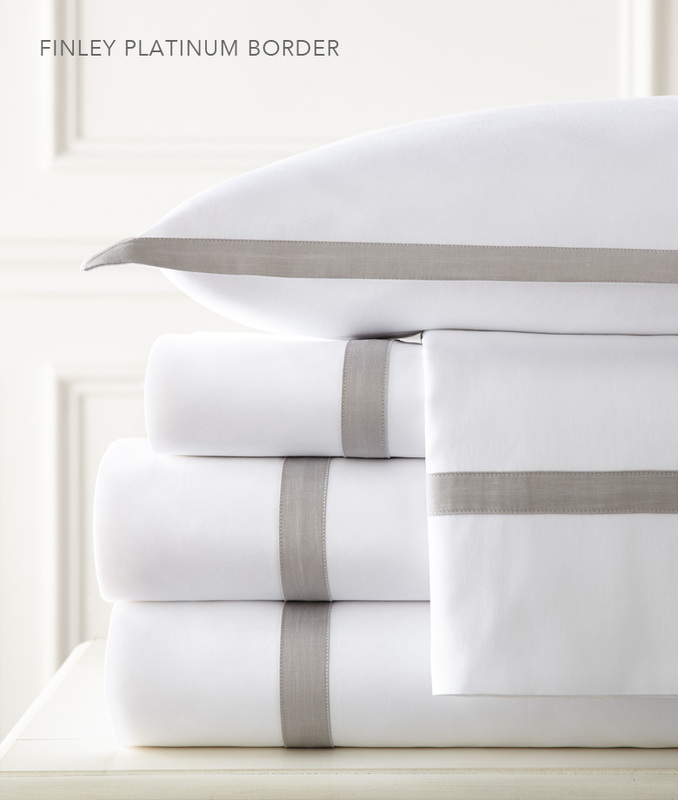 Our finest sheeting cloths woven in Italy are 100% Long Staple Cotton and manufactured in our own workrooms in Virginia, where careful attention to every detail is paramount. 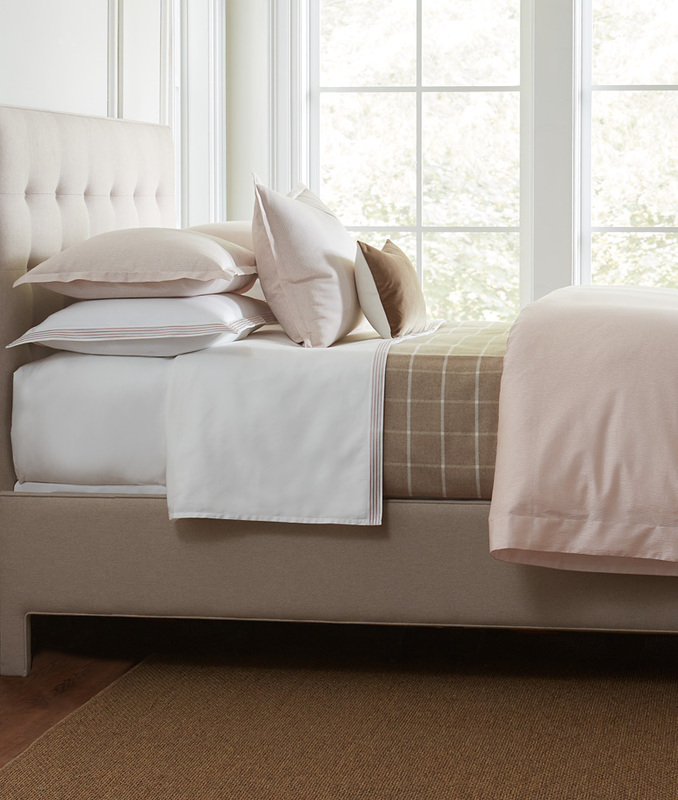 Shown here in Blush and paired with Fife Mica Coverlet; Sheets are Winston Sateen Antique White with Heather.